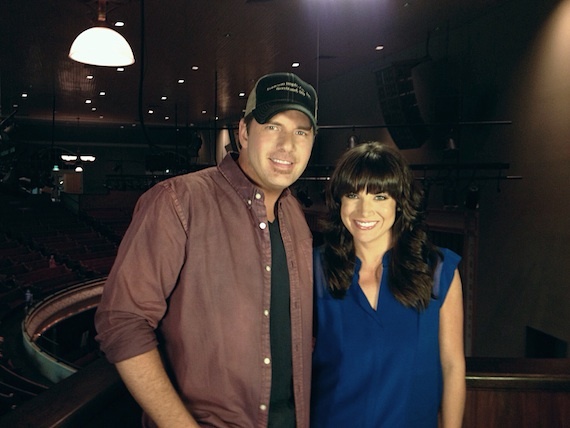 Rodney Atkins and AXS TV are teaming to celebrate Labor Day with an all-day Country music marathon. AXS TV’s Ashley Eicher and Atkins will host the affair, aptly titled AXS TV’s Country Music Marathon, which was shot at the historic Ryman Auditorium in downtown Nashville. The pair will host more than 16 hours of concert footage from several country artists, including Dierks Bentley, Kenny Chesney, George Jones, Tim McGraw, Willie Nelson and more. The marathon begins Monday, Sept. 2 at 12 p.m. ET on AXS TV. Additionally, Atkins is working on his fifth studio album, which is expected to bow this fall, with a new single out to radio in October.